The Need – Organizations periodically need highly skilled financial expertise but don’t need, nor can they justify, hiring full-time help. 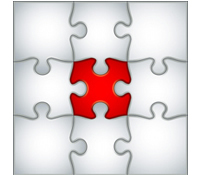 The Solution - Cornus Consulting offers highly skilled financial, strategic and analytical support. Our experience and knowledge along with our customized solutions are of unique advantage to the organizations we serve. Organizations need financial expertise, whether on a regular or periodic basis. Hiring a full-time experienced financial person, however, is often not affordable. Cornus Consulting provides temporary or permanent expert services that enable organizations to receive financial, strategic and analytical depth without having to add a full-time person to the payroll.